I know this isn't a project of mine but I would like to share this movie that is by the author of the book Handmade Nation that I have mentioned before. It is a great book about the D.I.Y. Craft Nation. It showcases different artists around the county and has a cool time line of when which craft sites and stores were launched. It has given me incredible inspiration. 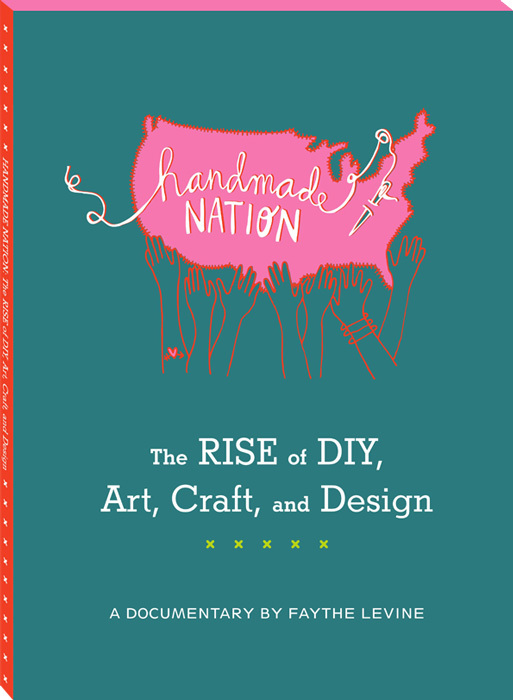 "Handmade Nation documents the new wave of art, craft and design that is capturing the attention of the nation. It is the feature film debut of director, author, artist and curator Faythe Levine. Levine traveled to 15 cities and covered more than 19,000 miles to interview artists, crafters, makers, curators and community members. Today's craft world has emerged as a synthesis of historical technique, punk culture, and the DIY ethos, also influenced by traditional handiwork, modern aesthetics, politics, feminism and art. Director Faythe Levine captured the tightly knit community that exists through websites, blogs, and online stores that connect to the greater public through independent boutiques, galleries and craft fairs. Interviews were conducted on-location in artist studios, homes, boutiques, offices and craft fairs, giving the public an exclusive and rarely seen look into the lives of these creative individuals." Check this site out to buy the movie or the book! I highly recommend that documentary as well. I saw it when it was screening at MAD last year and it was great to see some of the craft sellers highlighted in a documentary. AHHHH too cool!! WE ARE IN NEWYORK MAGAZINE! Tools I CANNOT live without. Close up on some embroidery Im working on. My bags are getting smarter..
HOMEBODY BOUTIQUE OPENING THIS WEEKEND!!! !